Patrick Ramsey, Viscount Drakely, sank his fingers into his thick black hair, curled them tightly around the silky strands, and then nearly pulled it all out. Why did his daughters have to choose right now to start singing? And of all the songs for them to pick, why did it have to be the one about that confounded London Bridge being broken down? Suppressing the groan that wanted to escape his throat the best he could, he settled for a quieter noise of aggravation: a sigh. “But Papa, we just started,” five-year-old Kate protested. “And now you’re done,” he informed her quickly before jerking his gaze away. He loved his daughters, he really did. But as much as he loved them, they needed a mother, and they needed one in the worst way. “You look like a porcupine,” Kate stated, reaching up to run her fingers through his out-of-sorts hair. She giggled, and Patrick’s smile grew bigger and decidedly more sincere. Pulling Kate onto his lap, he leaned back against the blue crushed velvet squabs and looked at Helena and Celia. They’d both been unusually quiet today. Not that he was surprised they were so quiet. Before they’d gone to London for the Season, they’d spent a considerable amount of time with Miss Emma Green, now Lady Sinclair, a long time friend who was considering the post of governess. However, her marriage to Patrick’s friend, Marcus, put an abrupt end to any chance of Miss Green becoming the girls’ permanent governess, and condemned the girls once again to the insufferable Mrs. Jenkins’ care. Not that Patrick and the girls weren’t happy for Marcus and Emma, they were. But, they were also disappointed. No one was more so than Patrick. His girls needed a decent governess. They also needed a mother. And to be honest, he had no idea which of the two they needed more. He sighed again and set Kate back on the seat beside him. Just as he set her down and closed his eyes in deep contemplation, the carriage jolted with so much force he and Kate were nearly ejected from their seats, and would have been if Patrick had not planted his foot firmly on the floor to keep his seat and simultaneously grabbed Kate to keep her from sliding forward. “It’s this rut here,” Cruxley said, gesturing down at the deep rut in the middle of the road where the carriage wheel was lodged and looked to be splintering. One by one, Patrick helped his three girls down and watched as they started chasing each other around the dusty road, kicking up enough dust to rival a fog cloud. Coughing, Patrick waved his hand in front of his face in an effort to clear the dust and find his way back to where the wheel was wedged in the rut. “Are ye sure those gels should be runnin’ ‘roun’ like that?” Cruxley asked him as he wiped his brow with an old dingy handkerchief. “Aye,” Cruxley agreed, moving to unhitch the horses. While Cruxley went off to go tie the reins to a nearby tree, Patrick eyed the wheel and silently prayed they had a spare. If not, it was going to be a long walk to the nearest place that was likely to have one. Sure there were houses close by, they were on the outskirts of a village, but this side of the village didn’t have the type of tenants who were likely to have a spare carriage wheel―if they had one at all. Cruxley came back, folded his arms across his chest, and stared at the wheel. “I says we jist break it,” he suggested with a shrug. Patrick shook his head and refused to roll his eyes at his coachman’s wasteful suggestion. He reached forward and grabbed onto the carriage, gently rocking it to see if the carriage could rock to the side or roll forward at all. It couldn’t. He didn’t like the idea of intentionally breaking the wheel more than it already was though. The wheel was broken, but not beyond repair. He might be a viscount, and a wealthy one at that, but he had no intention of purposely being wasteful when so many others had far less than he did. He knew how fortunate he was to be titled and wealthy. After inheriting his title at two and being forced at thirteen to take over the running of his estate to ensure its profitability, he took nothing for granted. “Let’s try something else first,” he said, using his toe to check the softness of the ground around the rut. It wasn’t quite soft enough where it would be possible for one to rock the carriage while the other tried to push it, but it wasn’t so hard they couldn’t try to dig out the wheel. “Eh?” Cruxley fairly shouted, cupping his hand around his ear like a giant shell. Patrick glanced at his girls who were giggling and screaming playfully as they continued to chase each other around. “I think we should try to free the wheel without breaking it first,” he said loudly. Cruxley nodded but didn’t look too convinced. Ignoring his overly opinionated coachman, Patrick went inside the carriage and lifted up the seat cushion to see what tools might be stored there, hoping to find a shovel or something that could be used like one. Not finding what he was looking for, he selected a gardening tool he’d often seen his tenants use for cropping. It wasn’t perfect, but it would work. Scowling at Cruxley’s laziness, Patrick started swinging what he was certain was called a hoe at the ground in an effort to break up or beat down the earth that seemed to have swallowed the bottom fifth of the carriage wheel. Juliet Hughes looked down at her lot of younger brothers and sisters and forced a smile. “How about if we go for a walk?” she suggested, her smile turning genuine as her siblings nodded their heads in excitement. For the last year she’d taken to teaching her younger siblings to read, write, and any other academic she could think of as a way to earn her keep. Her father was the son of a second son of a baronet, the only claim to gentry her family could cling to. And cling to that scrap of prestige they had. At twelve, Juliet’s parents borrowed enough money to send her away to Sloan’s School for Young Ladies in an effort to allow Juliet a chance to mingle with the more eminent members of Society and snag a titled and wealthy husband. That, however, did not work out so well. Instead of fulfilling her mother’s dream of being the most sought after debutante, Juliet went virtually unnoticed. Not completely unnoticed, mind you. She was noticed by several unsavory sorts, usually lecherous older men or beautiful young ladies who couldn’t spare a kind word if their lives depended upon it. After one Season that ended with nothing more than two carriage rides in Hyde Park accompanied by men old enough to be her grandfather, her parents insisted she return home. Since she’d come home bearing the shame of not having found a suitable husband, she’d taken to teaching her younger siblings to read, write, and do sums as best she could. Some days were challenging, but it made it all worthwhile to see her brothers and sisters finally make sense of something she was trying to teach them and grin with a sense of accomplishment. It also helped to alleviate her guilt knowing her parents had borrowed an enormous sum in order to send her off. Not that her parents fired figurative arrows covered heavily with guilt at her that she’d wasted all their money and credit on a useless education and a fruitless Season when her sister, Henrietta, would have made such better use of their funds, but she at least felt that by educating her younger siblings, then her education wasn’t entirely wasted. Henrietta going to a prestigious girl’s school and participating in a Season would have been met with the coveted results: marriage. Henrietta was everything Juliet wasn’t. Henrietta was slender with a medium height and build. She had the face of an angel decorated with pale blue eyes, pink pouty lips, and porcelain skin that had a brushstroke of pink across each cheek. Juliet still resembled a girl in many ways with her awkward appearance. Her frame, though tall and slim, lacked the pronounced curves most other young ladies had. Her complexion was the color of honey, making her pale grey eyes and full, red lips more noticeable. Her hair was a dirty blonde and was so thick no matter what she did with it, it slipped free of all its pins no more than an hour after she put it up. To complete the ensemble, she wore spectacles. And not the little delicate ones some ladies and gentlemen wore; no, these were large and clunky. The silver rims were extraordinarily thick. They had to be in order to accommodate the thick, heavy lenses that rested inside. The weight of this hideous, but necessary, piece of apparel was enough that no matter how she moved her face―even if it was just a little―they’d either slide down her nose or stay situated at the top of her nose tipping to the right or left to a rather irritating degree. No, Juliet Hughes was not an attractive debutante who took London by storm and had the gentlemen prancing after her. She was the shy, plain debutante who blended in with the wallpaper. “Come on, Juliet,” her youngest brother, Lucas, called, tugging her hand. Coming back to present, Juliet adjusted her spectacles and shot Lucas an apologetic smiled. “Let’s be off, shall we?” Holding the door open, she waited for her six brothers and sisters to pass through. “Are you coming, too?” she asked Henrietta who was sprawled out on the sofa, seeming not to have a care in the world. “Because then my skin would be like yours,” Henrietta replied with a shudder. “That way,” Dara said, pointing her stubby finger down the lane that didn’t lead to the village but away. “You’re not going to turn this into a science lesson, are you?” Peter asked with a pout. Tapping her index finger against her lip, Juliet cocked her head to the left and nearly lost her spectacles. Righting those pesky things, she said, “Actually, that’s an excellent idea. I don’t know much about biology,” or science in general if one wanted to be particular, “but I do know a little.” A few years back while she was attending Sloan’s School for Young Ladies she’d met a young girl named Edwina Banks who was a few years her junior. Edwina had an older brother, Alex Banks, the current Baron Watson, who had the greatest interest in science of anyone she’d ever met. Once when Edwina invited Juliet to Watson Estate (which, it should be noted, she only agreed to go at her parents urging), she was bored nearly to the state of tears listening to him prattle on about his latest science experiment. Good thing he hadn’t shown any genuine interest in her. Her parents would have leapt at the prospect of the match. She snorted. Her parents would have leapt at the idea of a match to just about anyone. Thank goodness the smithy who lived two villages over suddenly decided he’d like to emigrate to America. If he hadn’t, Juliet could have been Mrs. Saxon. She shuddered at the mental image that created and quickened her pace. “All right, Juliet, what droll facts do you have to knock into our heads about the fungus we’re passing?” Samuel grumbled. “None?” three of the six echoed in unison. A chorus of groans followed and Juliet beamed at the group. Apparently something Lord Watson droned on about had stuck in her brain. Unfortunately, she really didn’t know if they were passing fauna or flora, or if they were one in the same. But her siblings didn’t need to know that. Instead, she regaled them with her knowledge of the greenery they were passing, only fibbing or throwing in what she knew to be blatantly unrelated information occasionally. “What’s that?” Jane asked, her brows puckering together. “I have no idea,” Juliet admitted, all thoughts of fauna, or flora, or whatever it was they were passing vanished as her attention was caught by an onslaught of noise that could rouse the dead. “It sounds like a buncha banshees to me,” Lucas said, his eyes growing wide with wonder. A second later all four boys scampered down the road at a hell-for-hide speed, disappearing just beyond the bend. 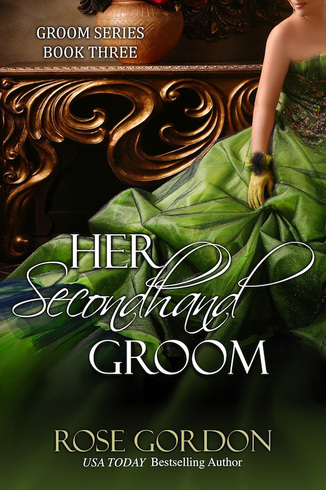 Juliet chuckled at their chivalrous streak as Jane and Dara each grabbed one of her hands. “Y-you don’t th-think they’re going to g-get h-hurt, d-do you?” Jane asked, her lower lip quivering. “Girls!” Peter wailed from down the lane. There was no denying the disappointment and disgust filling his tone. Juliet grinned and her sisters both giggled. “See, nothing to worry about,” she said, choking on a giggle of her own. The three walked down the road and around the bend only to find Peter, Samuel, Joseph and Lucas standing in a row with their arms across their chests, sneering at the trio of frolicking girls. “You four look like a mighty line of defense,” she teased, roughing up each one of their scalps as she walked past. She halted and watched as three young girls ran and screamed and giggled, carelessly running all over the road. “I bet you can’t catch me,” a girl wearing an atrociously dirty, but pretty pale pink dress hollered before running away from her companions and closer to where Juliet stood by her siblings. Not to be put off, the girl’s two younger companions chased after her, and together the three of them created a huge plume of brown dust that filled the air and Juliet’s lungs. Hack! Hack! Hack! Juliet coughed violently as she used the palm of her hand to smack her chest in a fruitless effort to dispel some of the dust that was invading her lungs and taking up what she was sure would be permanent residence there. Beside her, Lucas, Joseph, Jane, and Dara copied her actions with only minimal embellishments added. Not much really, just enough that the four of them would probably be sporting bruises on their chests for the next month and sipping heated lemonade with honey for a week before being able to talk. Peter and Samuel, however, were employing the most logical reaction, they stood with their feet shoulder-width apart one arm across their chest while the other held the top of their shirts up over their noses, scowling darkly at the three oblivious girls. The three girls didn’t seem to notice her. Swallowing convulsively, Juliet tried in vain to clear her throat enough to be able to speak in a tone they’d hear. Eyes stinging from the dirt, she jammed her fingers under her thick spectacles and rubbed her eyelids to relieve the discomfort. Feeling slightly better, Juliet put her thumb and forefinger of her right hand into her mouth and let out a whistle that only a deaf man could ignore. The man who looked far more dirty and worn out looked at her with eyes so dark brown they almost looked black. “That is none of your concern, madam.” His tone cold and hard, decidedly unfriendly. “Yes, sir,” she said firmly. The breath caught in Juliet’s throat. This was not a good sign. Viscount Drakely was rumored to be a very nice, but stern man. As a child she’d always wondered how he could possibly be both. But as an adult she knew. He was nice as long as your rents were paid on time and you weren’t known for causing trouble. But for those who caused trouble in the viscountcy or fell behind on their rents, he was not so friendly. Not that she’d heard of him throwing people out on their ears for missing a month or being late, but he made it known he ruled his lands with a firm hand and wasn’t afraid to confront anyone. “It’s seldom I render anyone speechless,” Lord Drakely drawled again, staring at her in a way that made her wish the ground would open in front of her and swallow her whole. At that, the youngest girl ran to her side as if she’d been searching for Juliet her whole life. Juliet smiled at the young girl and gave her hand a gentle squeeze. Even if she was covered head to toe in dirt and had an ogre for a father, she was still adorable. “Go on, girls,” Lord Drakely encouraged the other two girls who looked hesitantly at Juliet and her little company of brothers and sisters. Smiling warmly at the two older girls, Juliet waited until they joined the ranks before calling her direction back to Lord Drakely and instructing the children to walk down the lane. Juliet’s eyes roved over the girls, they were all very attractive girls with black hair like their father’s and wide, hazel eyes. They’d certainly have their pick of suitors, as long as their father didn’t scare them all away. “What kind of biscuits do you got?” the littlest girl asked, licking her lips. “We have several kinds, actually. My guess is you’d like the ones with ginger in them,” Juliet said with a grin.